Farmers feed the world, End corporate control over our food! 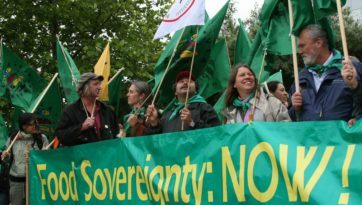 Why Food Sovereignty in the Bolivian Constitution? G8 feeds the corporations, Join us in Rostock to feed alternatives! May Day in the US/Mexico: General strike on the border!